Events are unfolding at a breakneck pace in the Old Kingdom! Laugh as your favourite characters spit in the face of danger ... then run for the hills. Admire the verbal jousting and witty wordplay ... or is it the other way round? Gasp as kings and queens lose their heads. 'Enjoy' the groanworthy puns and suffer the slings and arrows of poorly-trained archers. Prepare to be amazed as you learn exactly what Clunk's building in his makeshift workshop! 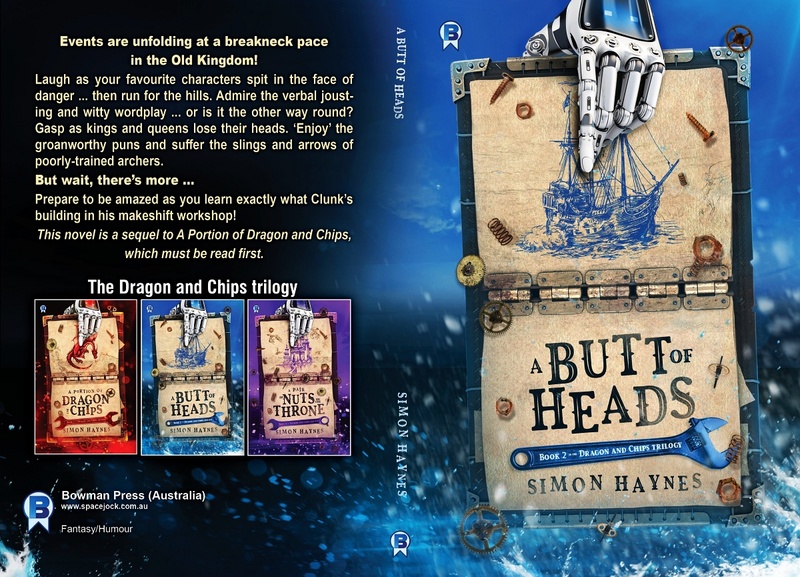 This novel is a sequel to A Portion of Dragon and Chips, which must be read first to maximise your enjoyment and my royalties. Sign up for my newsletter and get the ebook edition of A Portion of Dragon and Chips ... Free! Where did you get the idea for this madness? April 2018. April 1st, to be exact. I put together a joke cover for the book and announced it on social media. Within three hours I realised I was going to have to to write it. I will, after this one. Hal Spacejock 9: Max Damage is already planned. In fact, I have Hal Spacejock novels planned all the way up to #22, but that's too scary to contemplate. 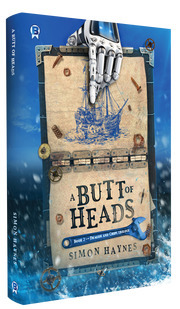 Will Hal Spacejock and Clunk appear in this novel? Are you kidding? 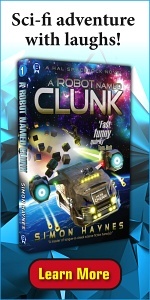 Clunk is the STAR of this novel! As for Hal ... who knows? Last modified April 2, 2019. Hosted by iiNet.